I always enjoy seeing multifunctional design. 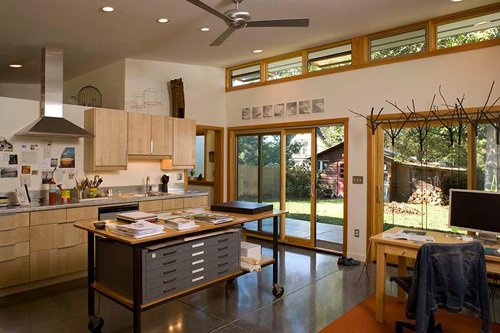 It takes thought, precision and creativity to fully utilize a space and have it work on many levels – just like this fabulous Artist Studio/Guest House designed by Virent Architecture. 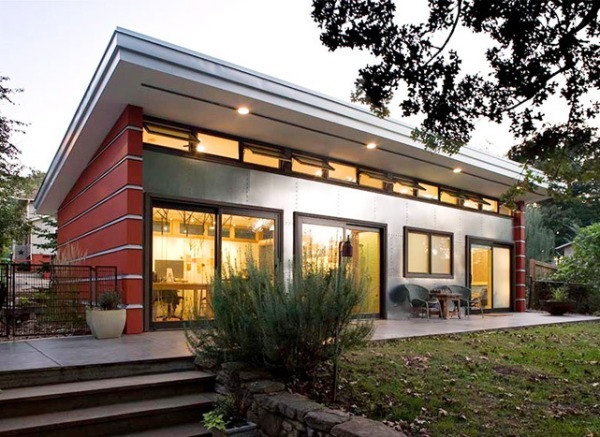 The owners of this sleek new out building are quite the creative team – one being a graphic designer and the other a metal smith! They desperately needed room to create but also desired a living space for the occassional guest. Streamlined and modern the space is warmed by using natural woods and soothing colors. Coming in at a modest 700 sq. ft., it still meets all the clients’ needs and has a good dose of architectural pizzaz! To view more projects from Virant Architecture go here.